Bollywood box office king Salman Khan’s latest Eid release ‘Sultan’ continues to break records at box office. The wrestling drama film has collected a huge sum of Rs 200 Cr net in India in its first week run and thus broke the earlier record set by ace Telugu director SS Rajamouli’s epic film ‘Baahubali’, which had collected a mammoth Rs 185 Cr. 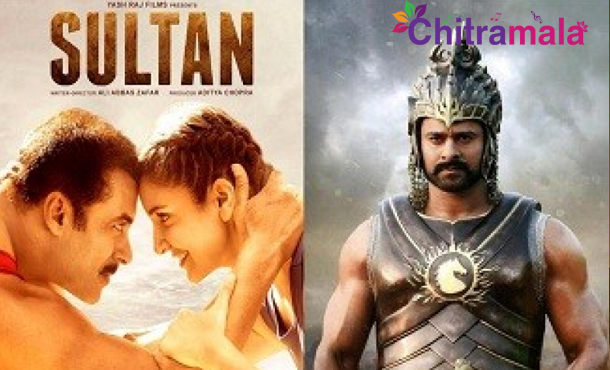 Now, Baahubali is settled at second place in the list of highest earners in India in the first week. ‘Sultan’ is still doing staggering business and it is pegged to beat Aamir Khan’s ‘’PK” to emerge the new industry hit. The film’s business is exceptional in overseas as well. It has already crossed the Rs 400 Cr worldwide gross mark. Also starring Anushka Sharma, Sultan is produced by Yash Raj Films and directed by Ali Abbas Zafar.